I know you’re probably in Berlin to do German things, but somedays Irish things are just more fun. St Patricks day is definitely one of those days. 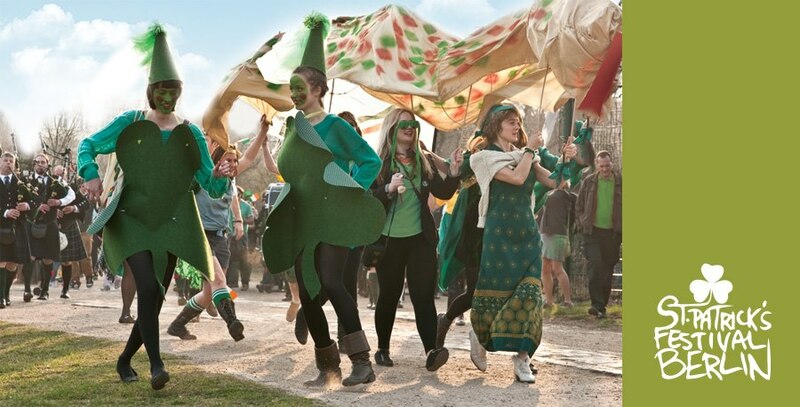 And St. Patricks Day Berlin style is not to be missed. FREE ENTRY & DRESSING UP ENCOURAGED! The parade kicks off at 14:00 from Oranienplatz in Kreuzberg. Come down dressed in your finest green and march with us to celebrate Ireland’s national day with the Berlin Pipe Band and Special Guests. We will start gathering at Oranienplatz at 13:00. All Welcome! Be sure to stay for the concert and after party after the parade!